LG Electronics has announced launch of its two high brightness projectors, BX503B and BX403B, in India. 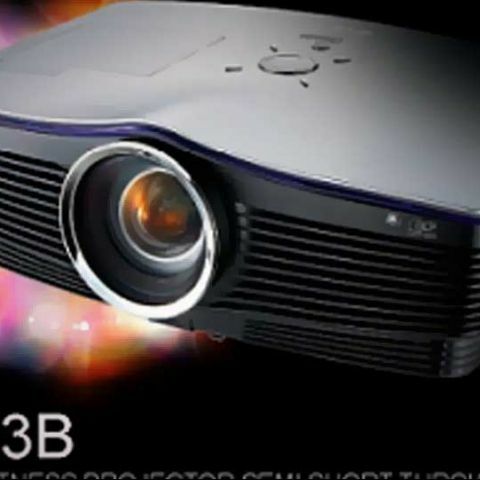 LG says its new projectors provide short projection distance and uses DLP technology. “With the launch of these two models in India, LG’s focus would be expanding its portfolio. LG's customer-centric approach ensures industry-leading premium products with exceptional quality and the most relevant features and technology to make consumers' lives easier”, says Mr. Soon Kwon, President South West Asia Region & MD, LG Electronics India Pvt. Ltd. He further added, “With super compact and ultra bright projectors, LG continues to develop and display products that lead the way in both design and capabilities”. The new LG projectors offer XGA native resolution of 1024x768 and a 2800:1 contrast ratio. While the BX503B projector packs 5000 ANSI lumens, BX403B offers 4000 ANSI lumens. The projectors have a 6 segment color wheel. The BX403B and BX503B projectors come with HDMI 1.3V deep colour. Both the projectors are LAN enabled and have a lamp life of 2000 hrs (normal mode) and 2500 hrs (ECO mode). They also feature a quick power on/off so that the user can save the waiting time before and after usage. Both the projectors weigh 5.8 kg, and have a front exhaust and auto-altitude detection. The BX403B and BX503B projectors are priced at Rs. 1,65,000 and Rs. 1,10,000/- respectively.